Edna Hibel was born in 1917 in Boston, Mass. 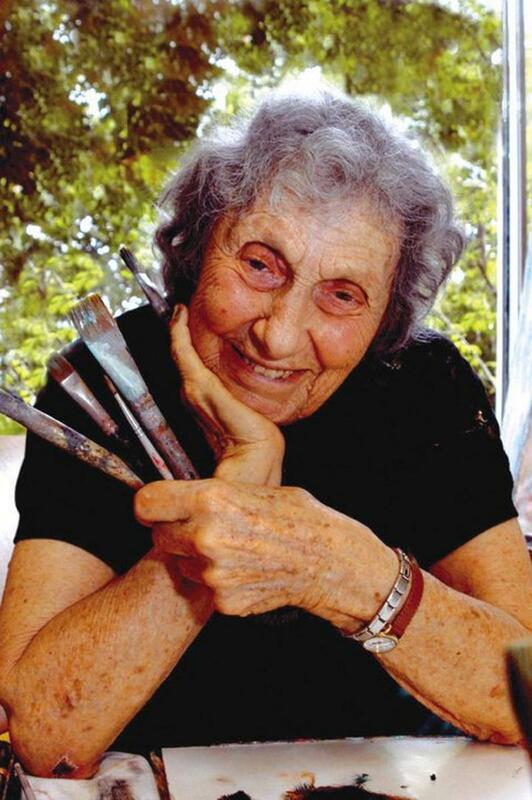 She started painting at the age of 9 when, according to her son, the teacher gave her paper and colors to distract her from math as she was better than the other children and it frustrated them. She spent many summers in the shore in Massachusetts and Maine studying watercolor painting and eventually graduating from the Boston Museum School of Fine Arts in 1939. In 1942 she received the Sturtevant Traveling Fellowship to study in Mexico. She began pulling lithographs in 1966 in Boston, eventually moving to Switzerland where she lived and worked for many years. She innovated, creating works with up to 32 lithographic stones on various materials including paper, silk, wood veneer and porcelain. She often used gold papers to enhance her lithographs. She died on December 5, 2014 in Jupiter, Florida.